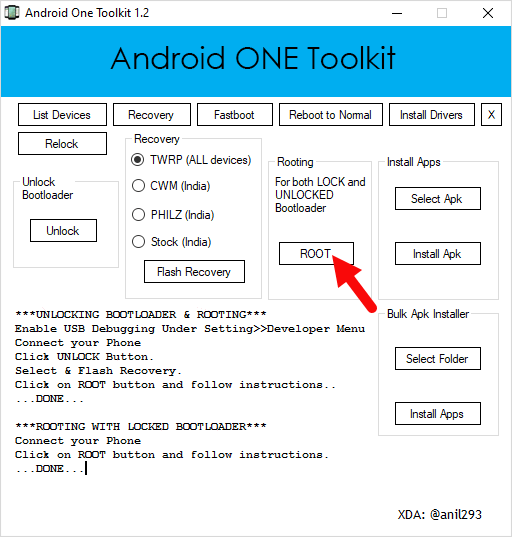 These are the instructions to root any Android One Devices in a click using the Android One Toolkit on Windows Computer. Requirements: Your android device should have at least 20-30 percent of device battery to perform the rooting process. Step 1: Download and install Microsoft net Framework 4.0 on your computer (skip this step if you have already installed net Framework 4.0 on your computer). Step 2: Enable USB Debugging on your Device. To enable USB Debugging: Open Settings > Developers Option > USB Debugging > Tick to enable. Step 4: Now, Open Android-ONE-Toolkit.exe. 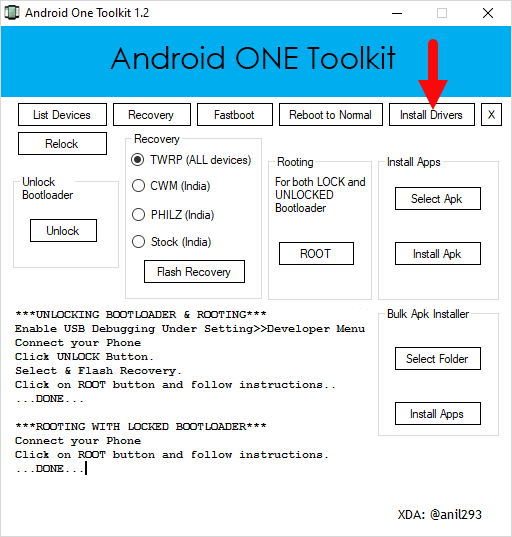 Step 5: Once Android One Toolkit is launched, click on install drivers to install the android usb drivers on your computer (skip this step if driver is already installed). Step 6: Now, connect your android device to the computer. Step 7: Now, Click on List Devices (to see whether your device is connected to the computer successfully). Step 8: Now, click on the root button to begin the rooting process. Step 9: Once, rooting is completed disconnect your device from the computer and restart your device. Step 10: Now, in the App Drawer you will be able to see the SuperSU icon, which confirms that your device is rooted successfully. [*] How to Unroot: To unroot, Open SuperSU on your Device > Settings > Full Unroot. 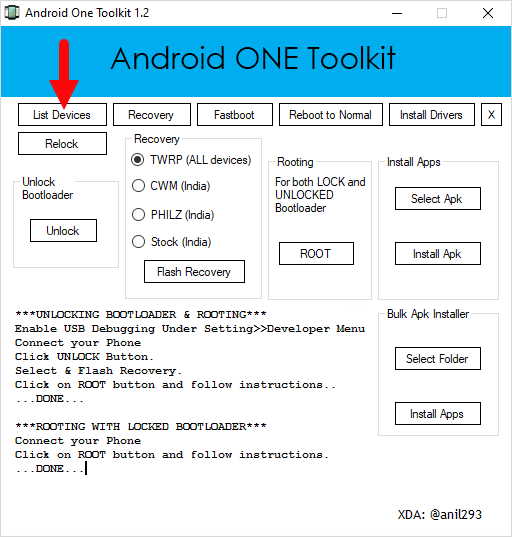 [*] Support: Android One Toolkit is capable of rooting, unlocking bootloader and installing custom recovery (philz and TWRP) on all the android one devices which includes Micromax Canvas A1, Karbonn Sparkle V, Spice Dream UNO, Cherry Mobile One, Symphony Roar A50, Nexian Journey One, Evercoss One X, Mito Impact, MyPhone Uno. 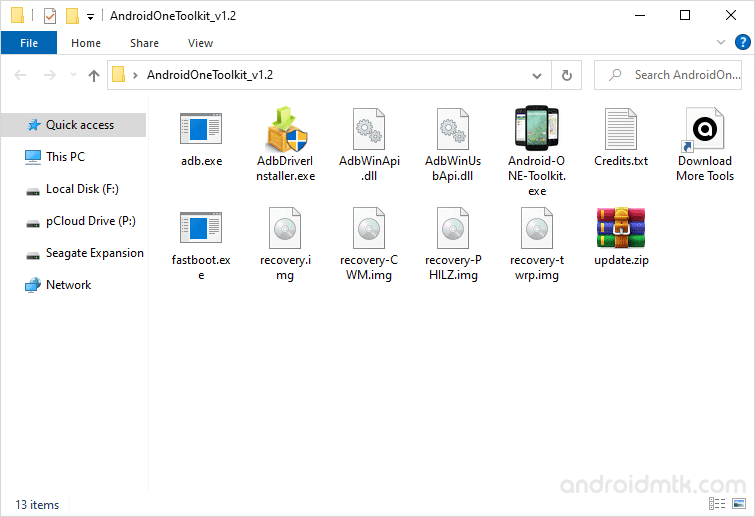 [*] Credits: The Android One Toolkit was created by anil293 (xda developer), so full credits goes to the developer.